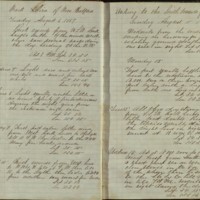 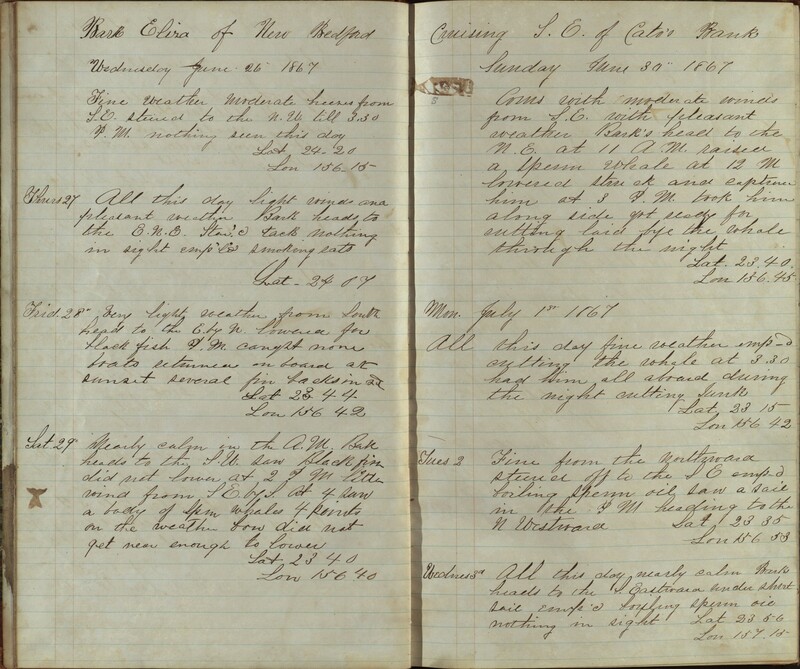 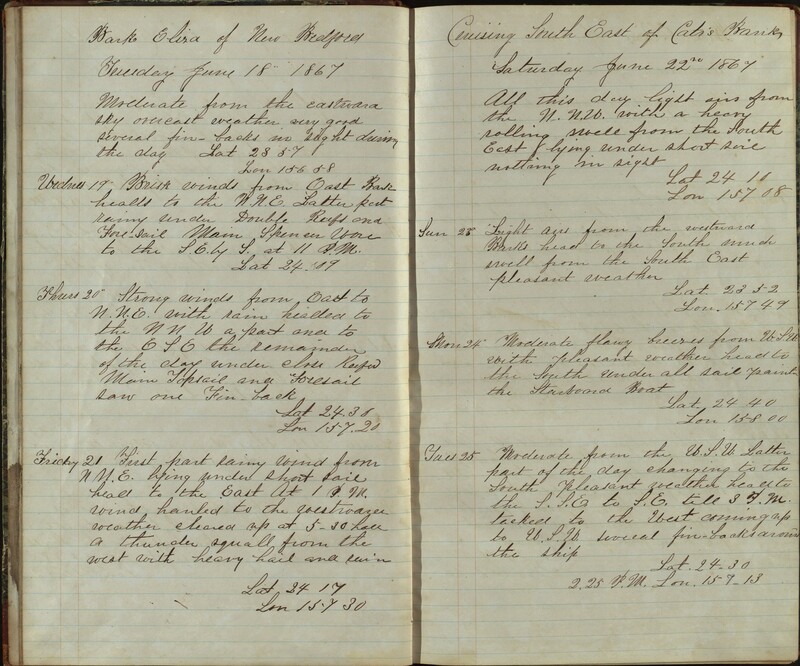 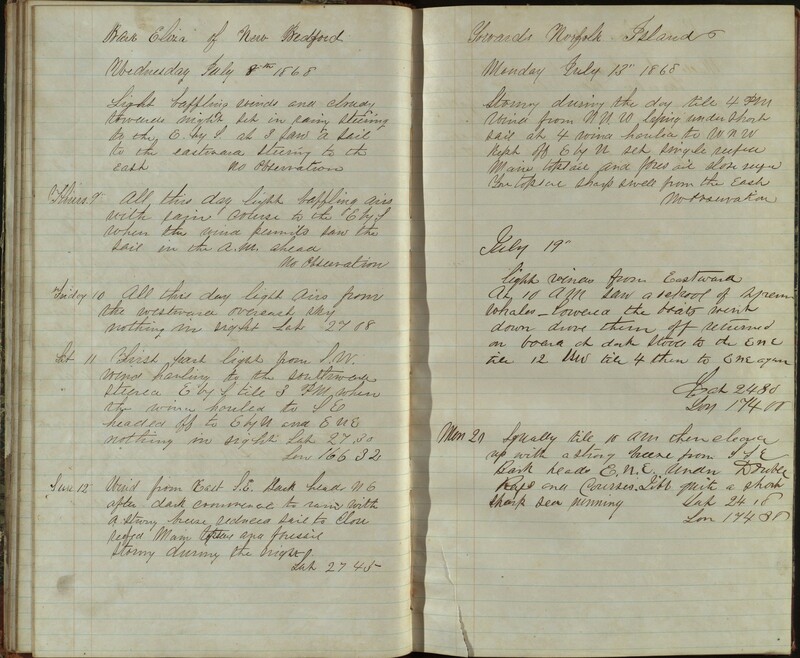 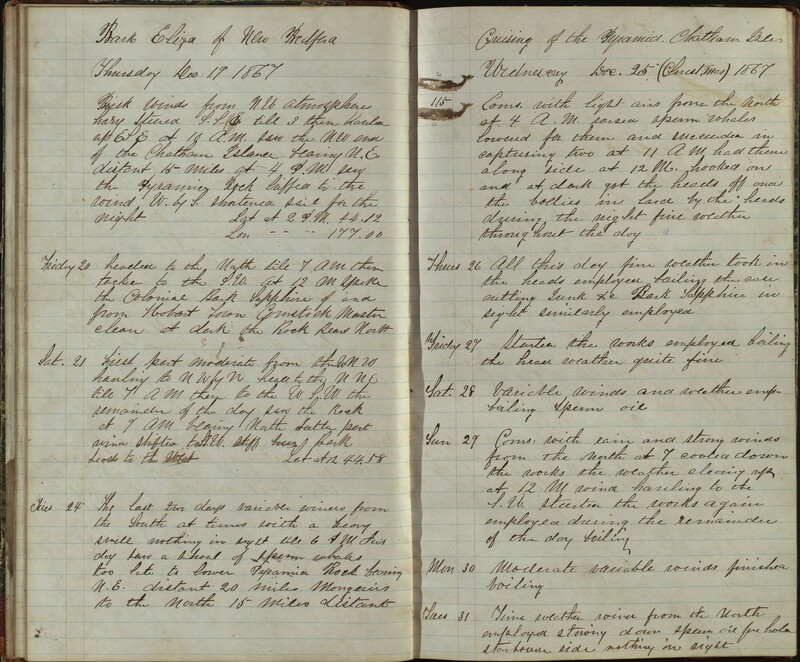 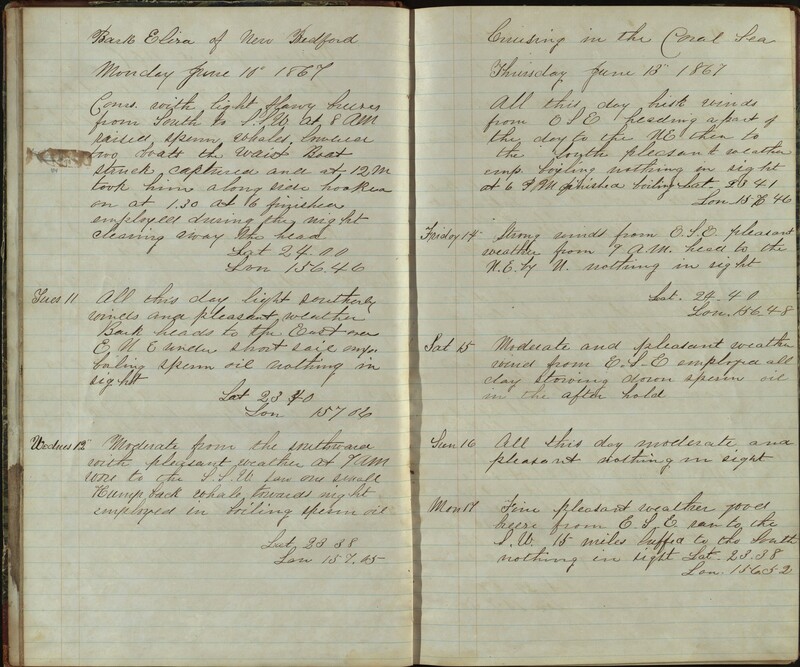 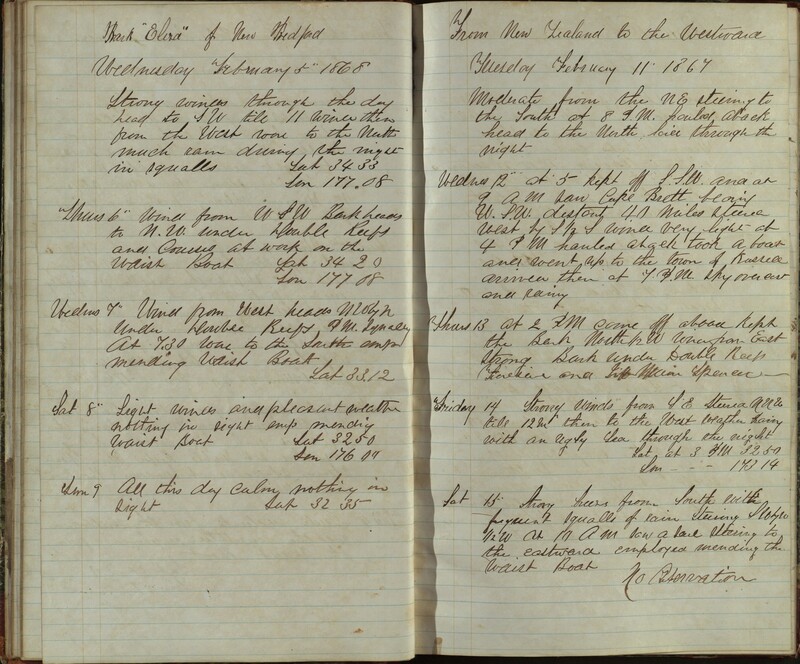 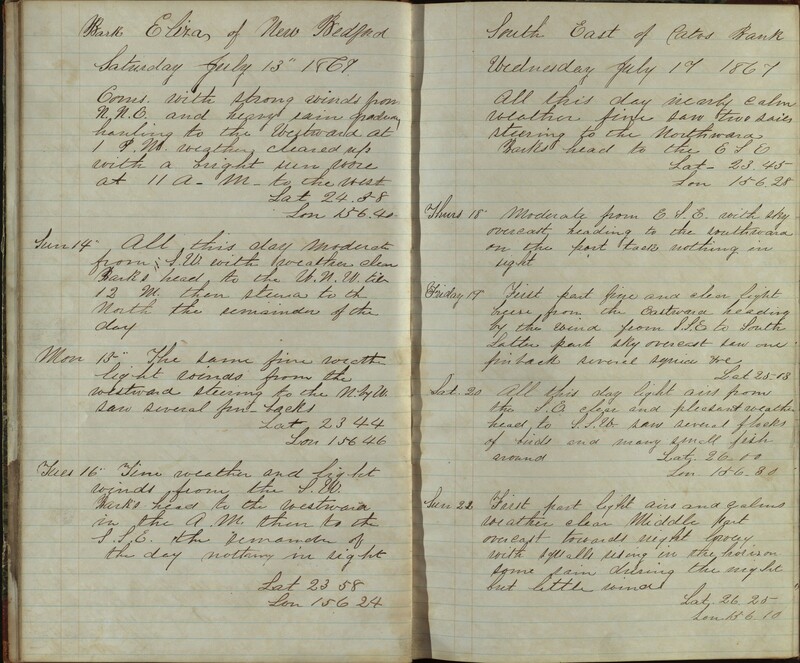 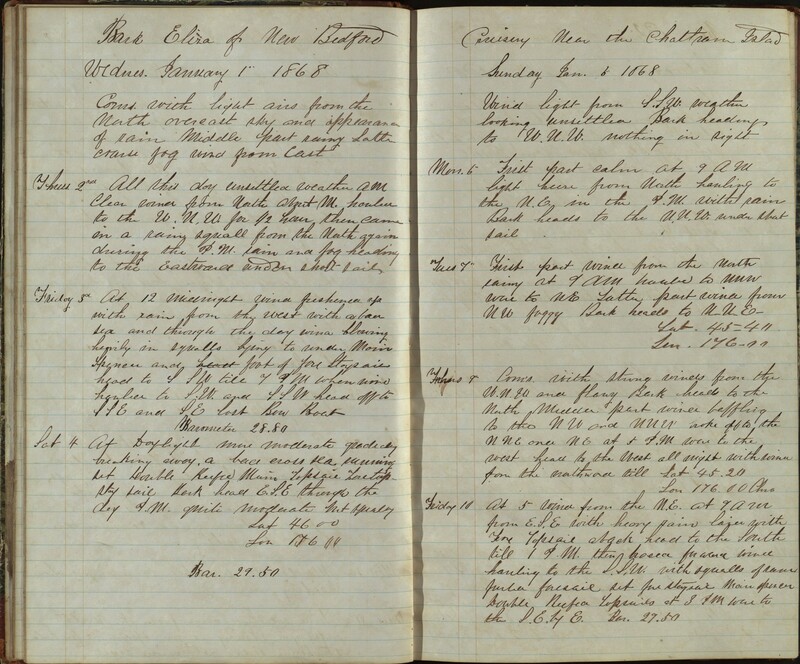 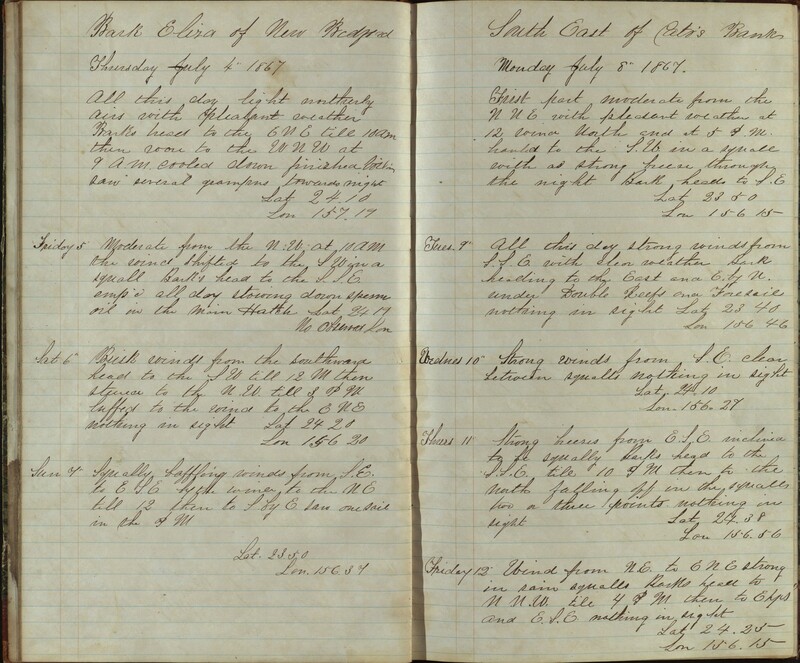 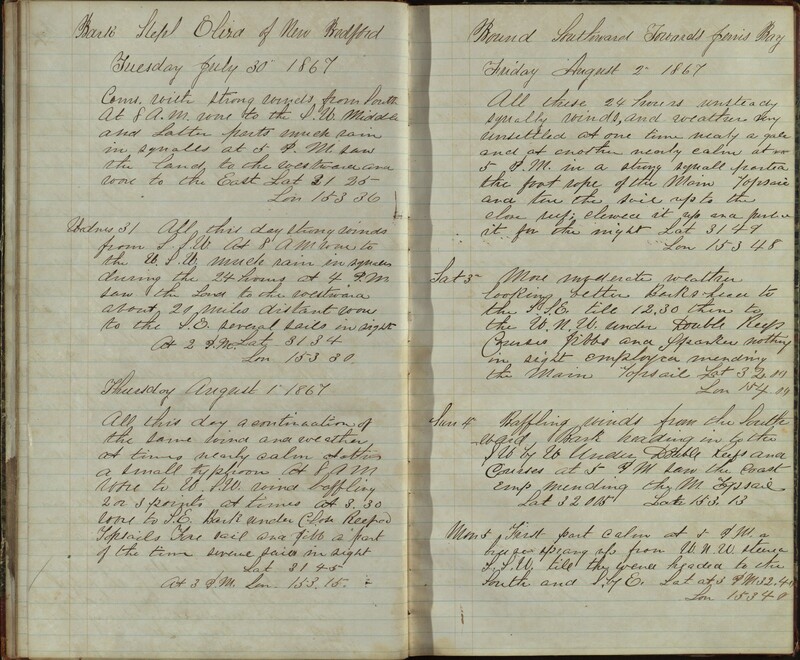 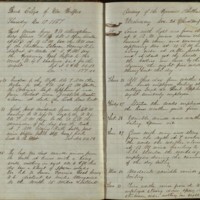 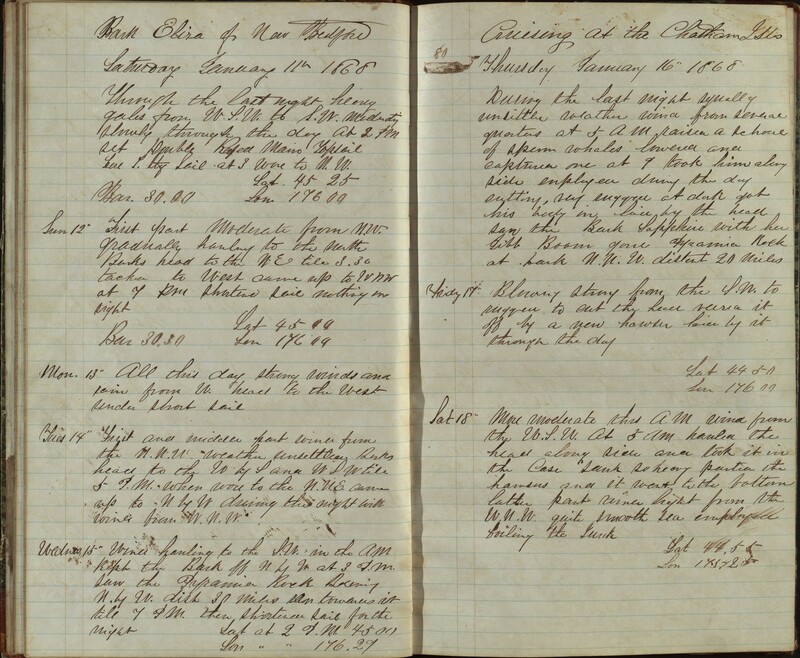 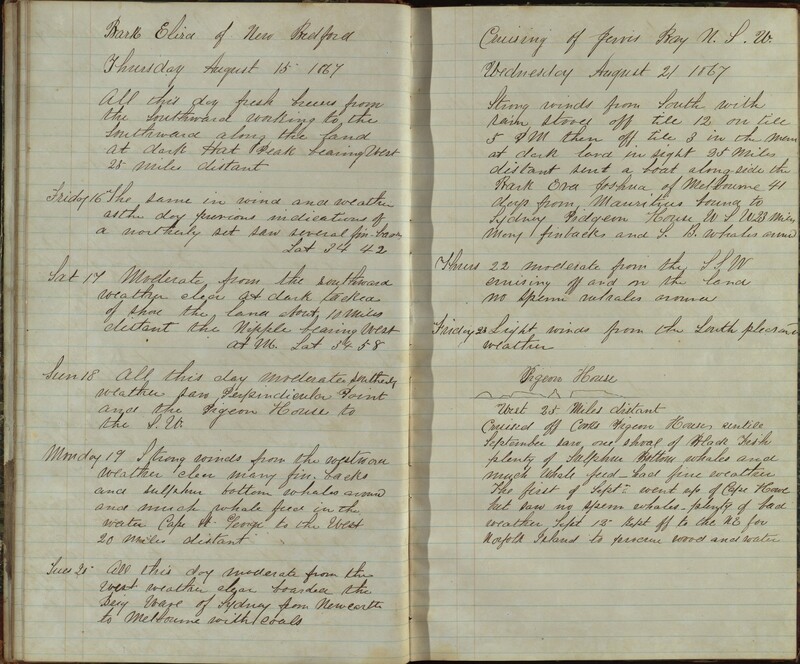 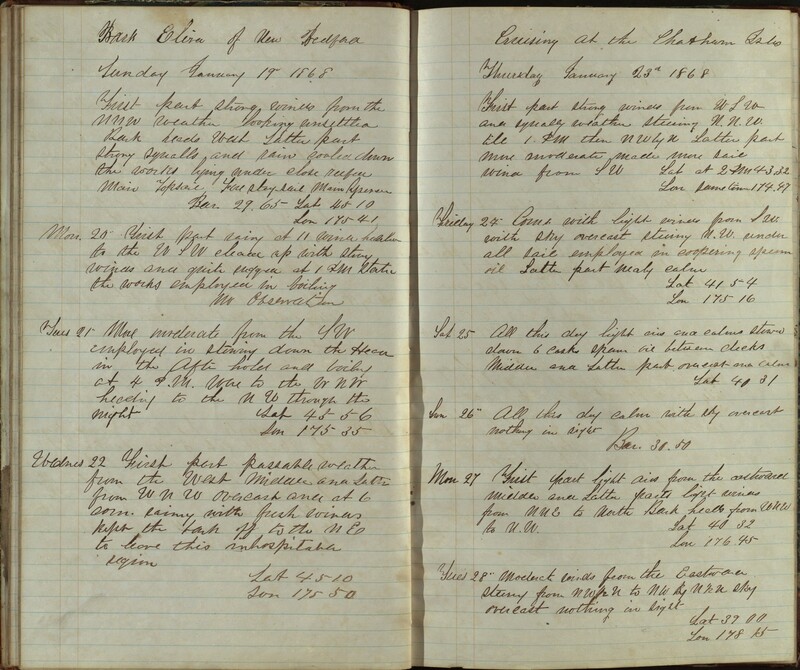 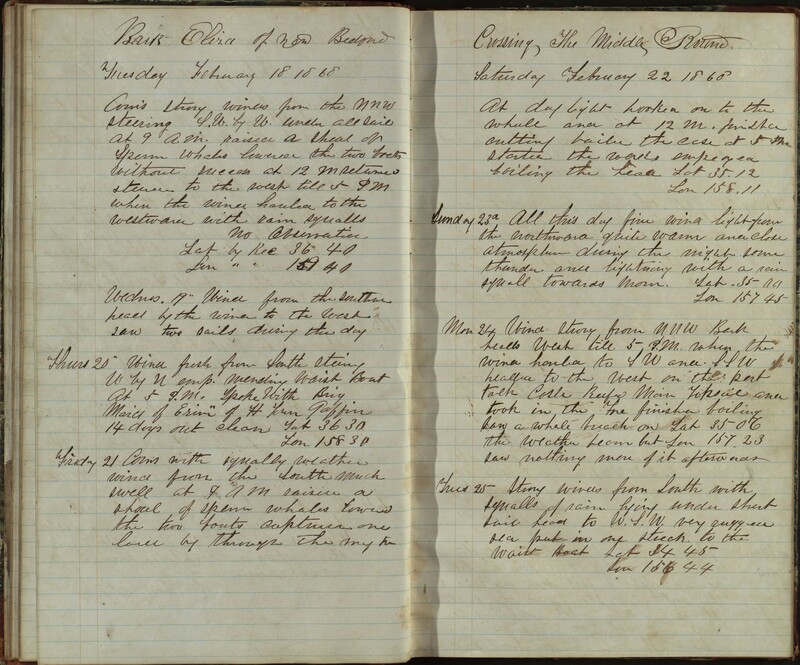 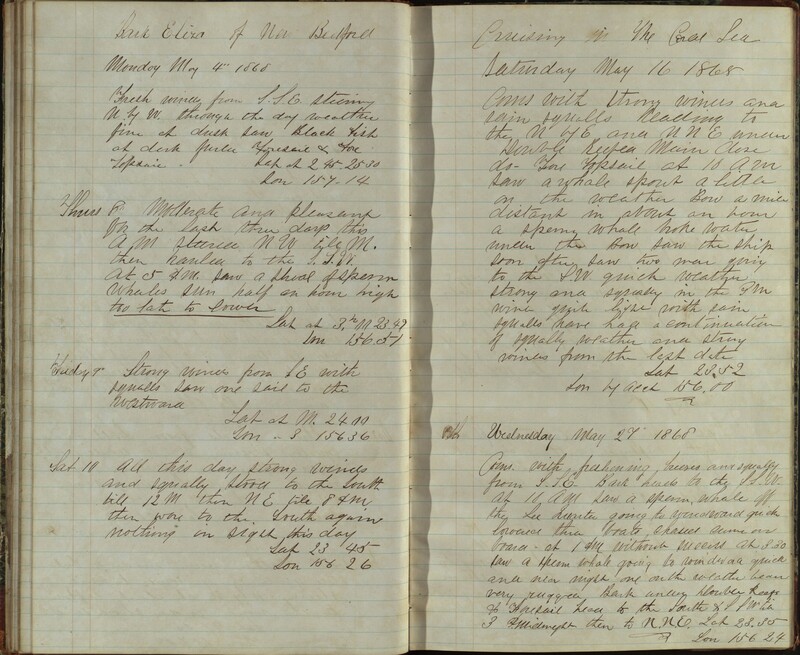 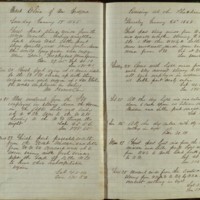 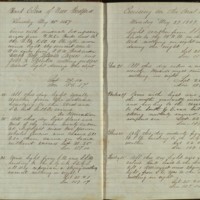 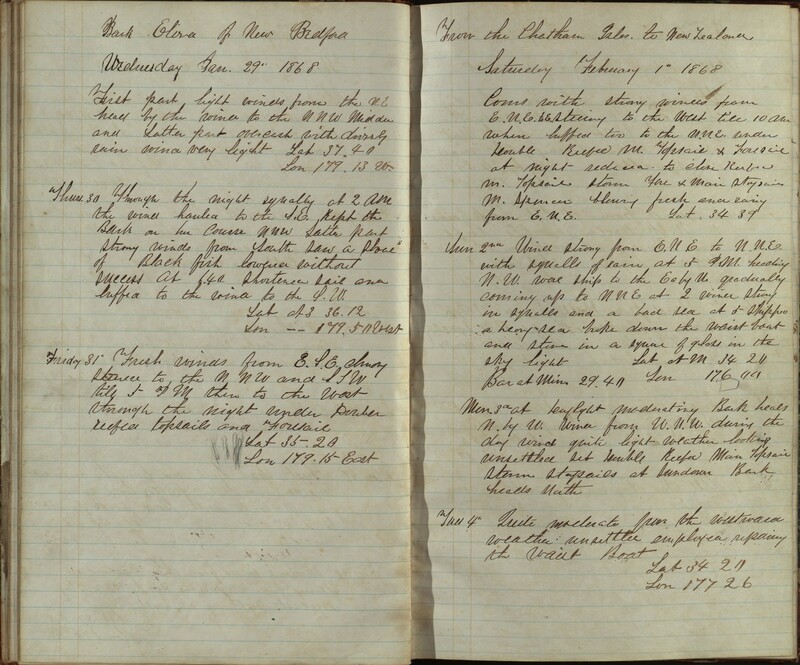 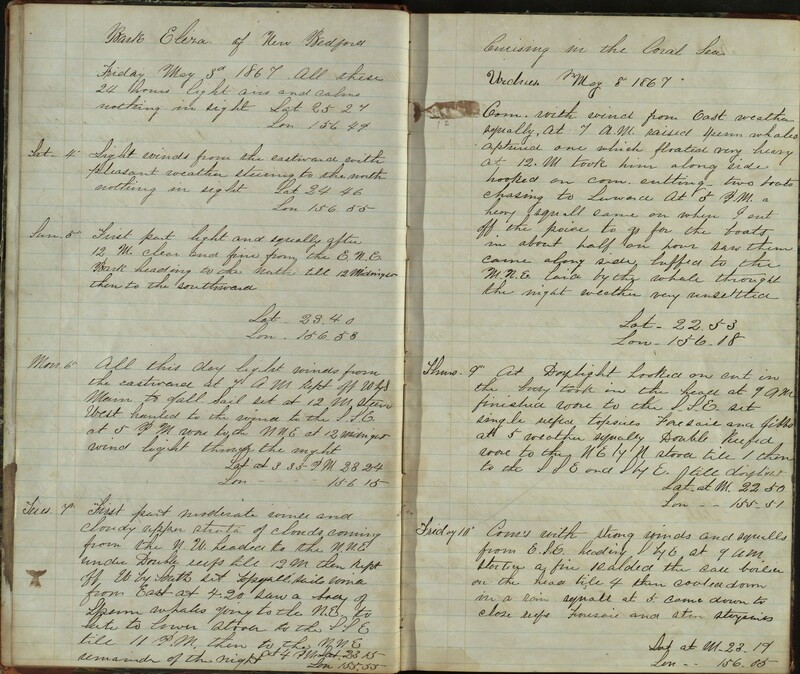 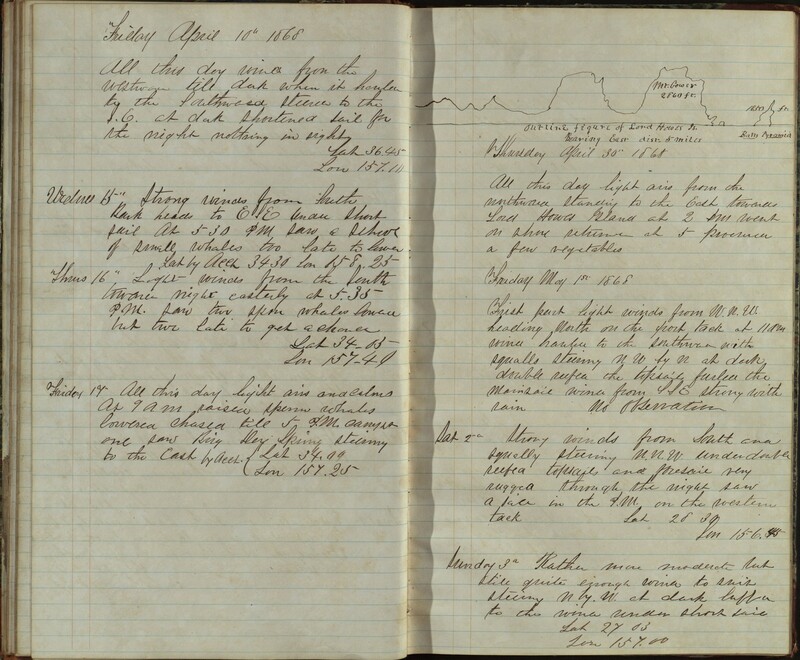 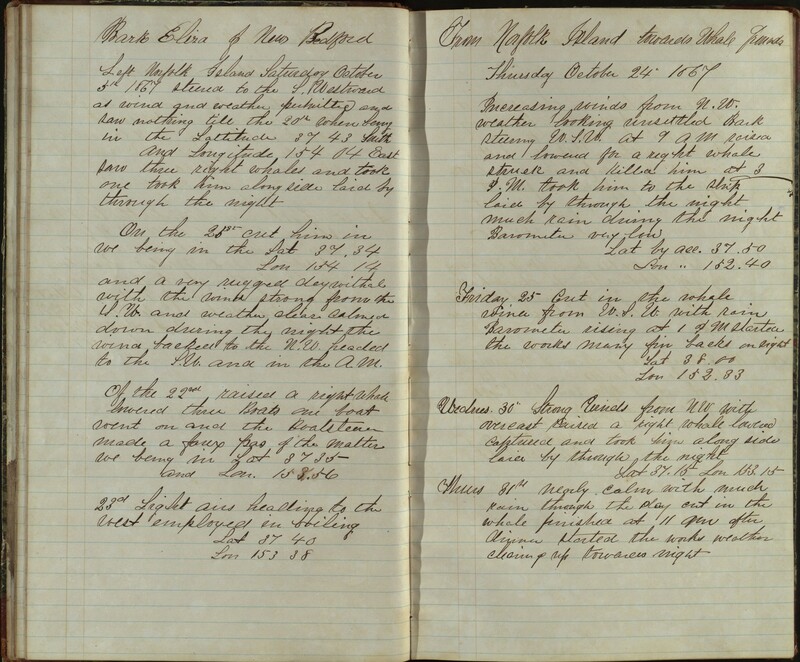 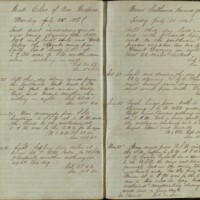 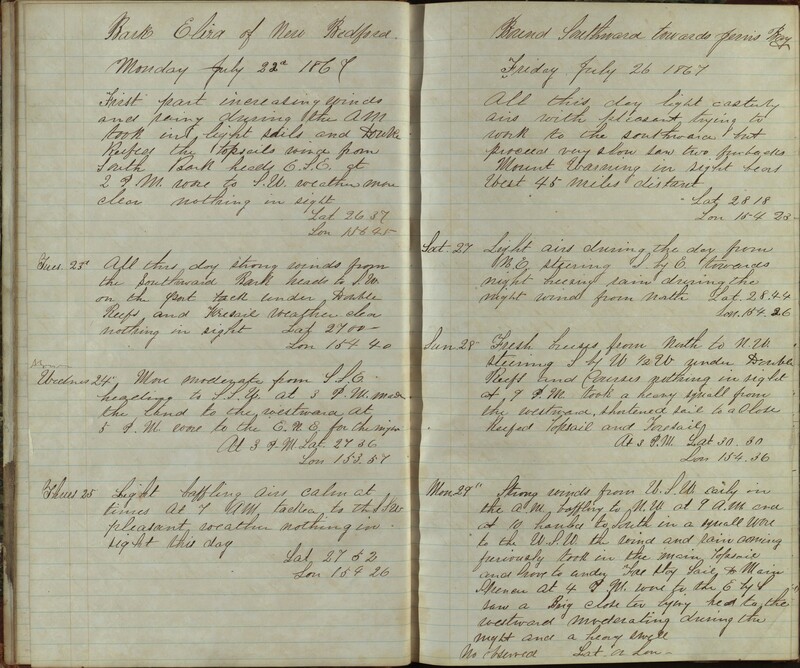 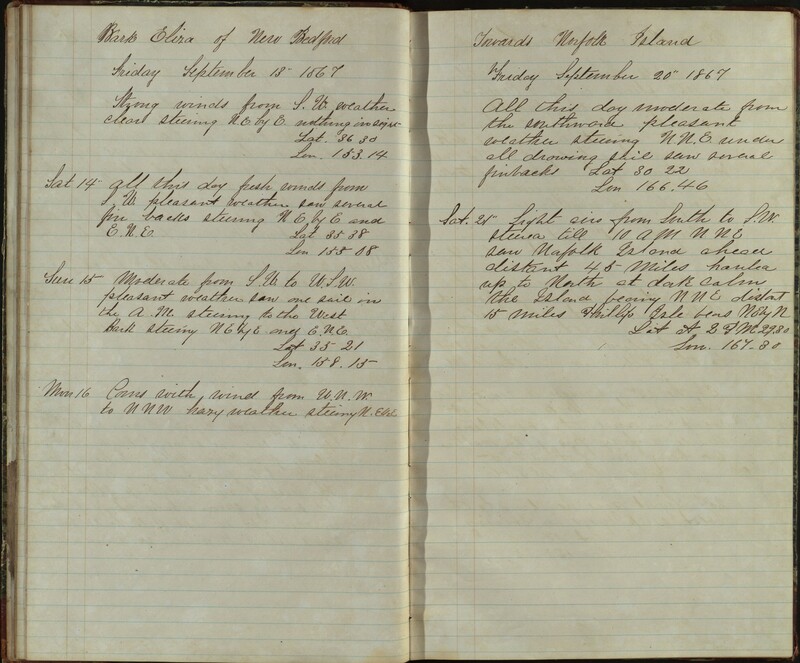 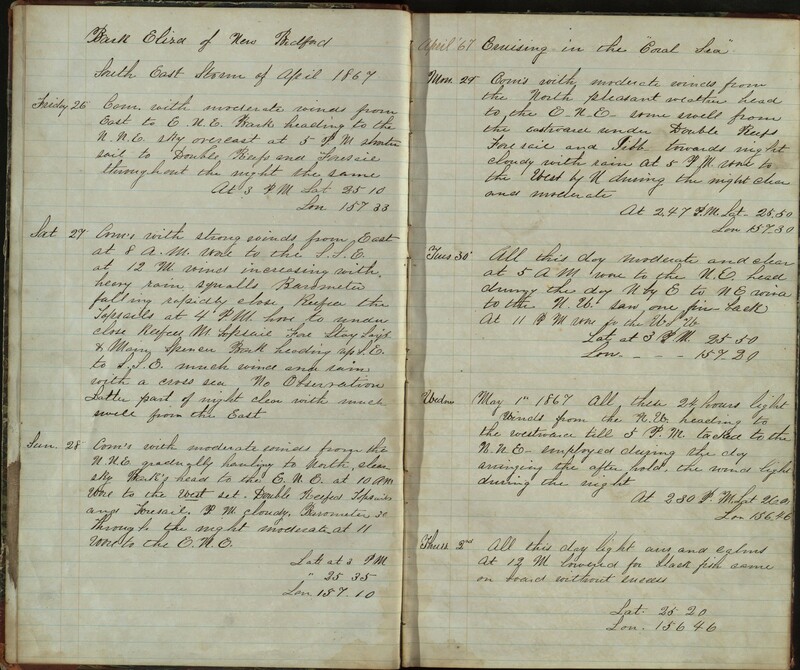 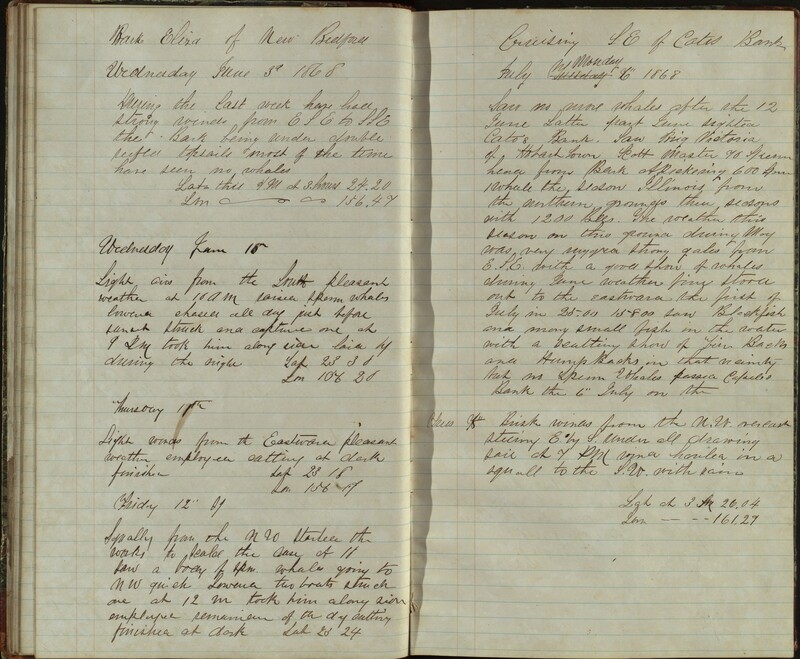 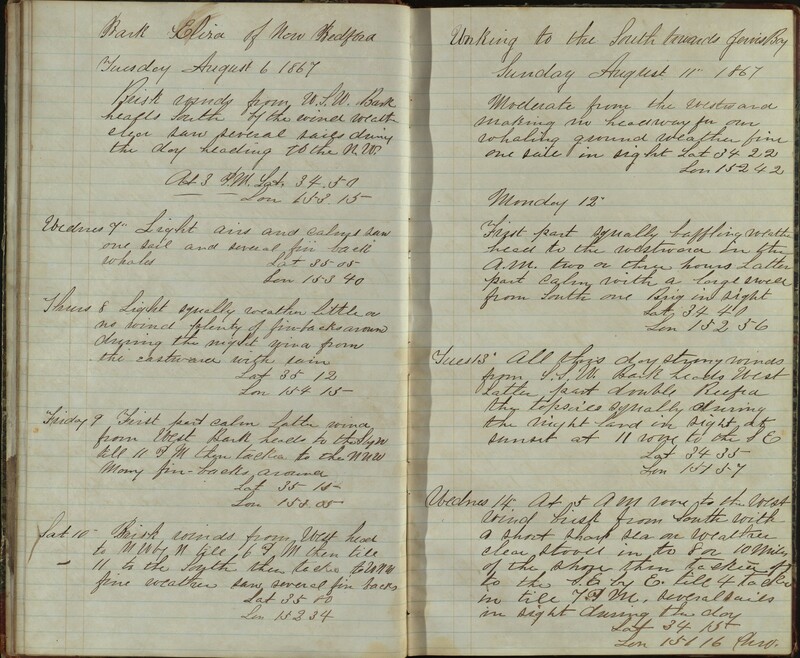 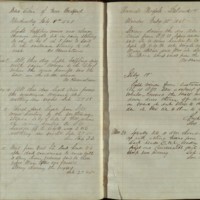 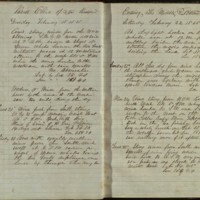 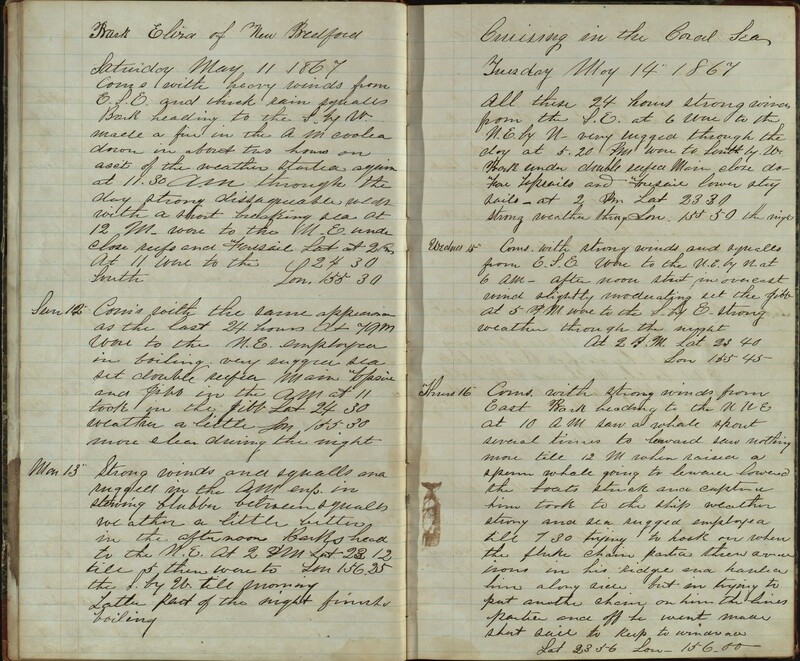 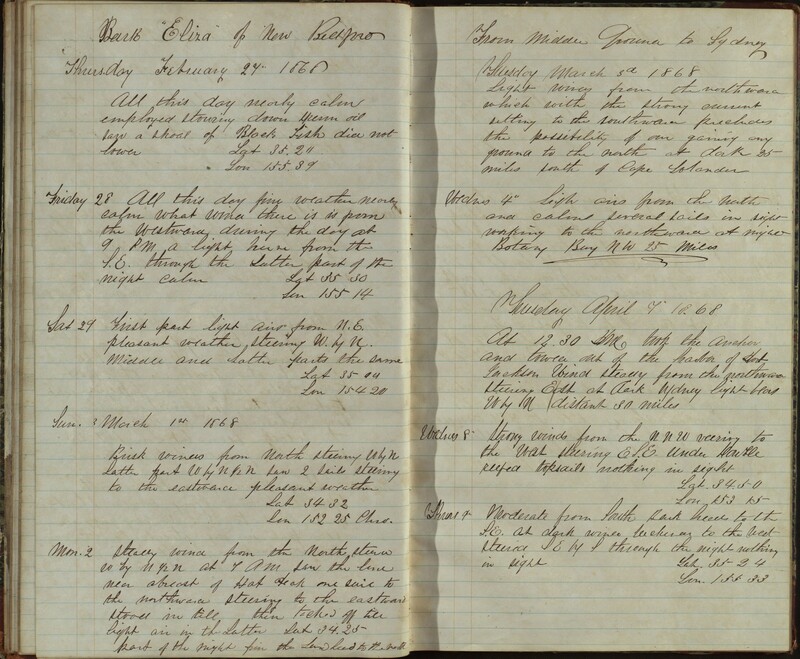 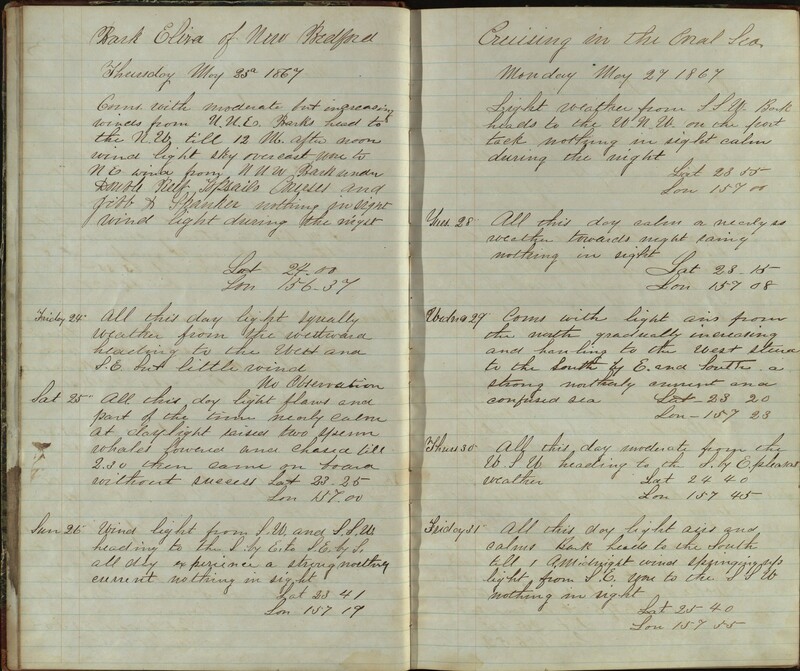 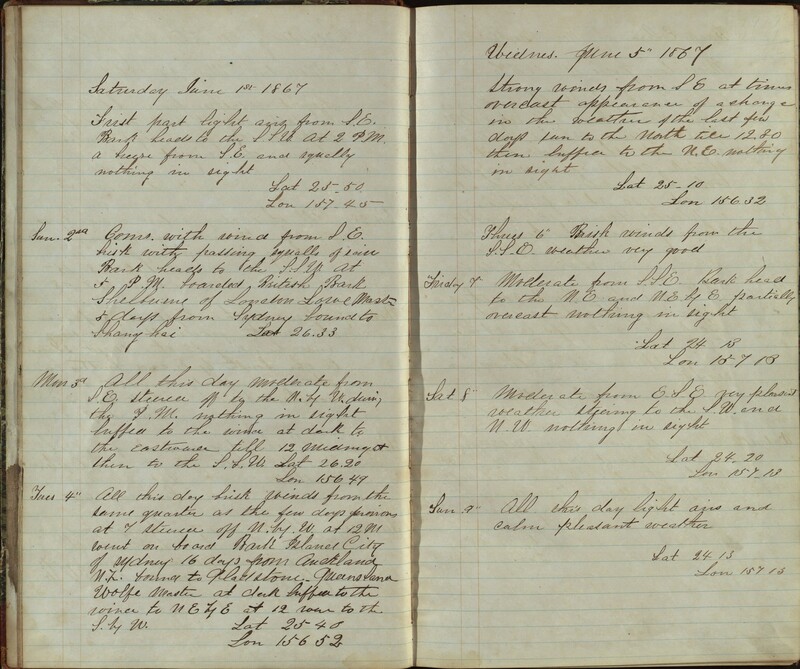 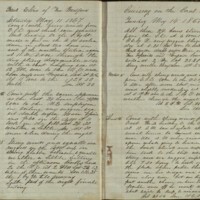 This is a partial journal for the same ship, same voyage as recorded in another logbook in the collection (Eliza, 1865-1869). 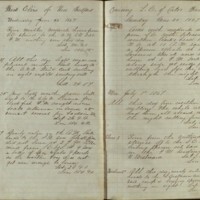 At the front is inscribed “C. 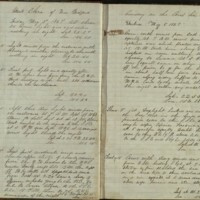 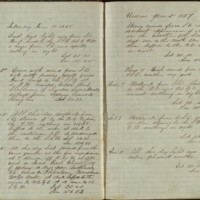 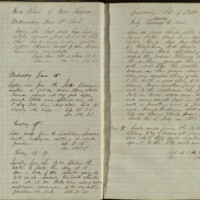 Eldridge,” indicating that this journal was probably kept by Cyrenius Eldridge, the Second Mate (who was 24 when he signed onto the voyage in 1865). 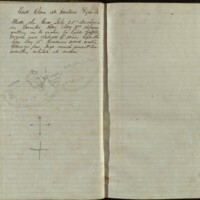 Also of interest in this volume is a journal of another voyage aboard a merchant ship (not a whaler). 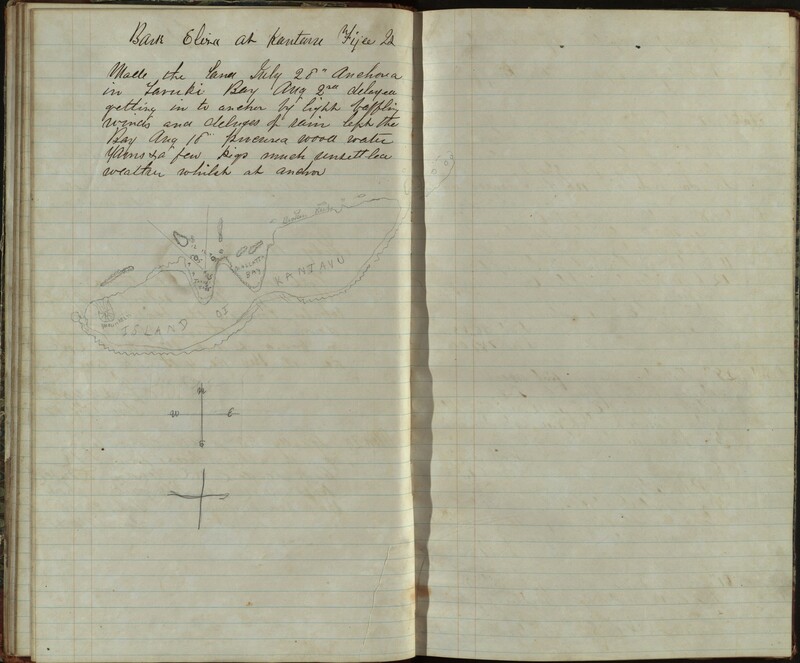 This was the Yamoyden, which sailed from Baltimore to Rio de Janeiro and back from June to October in 1869. 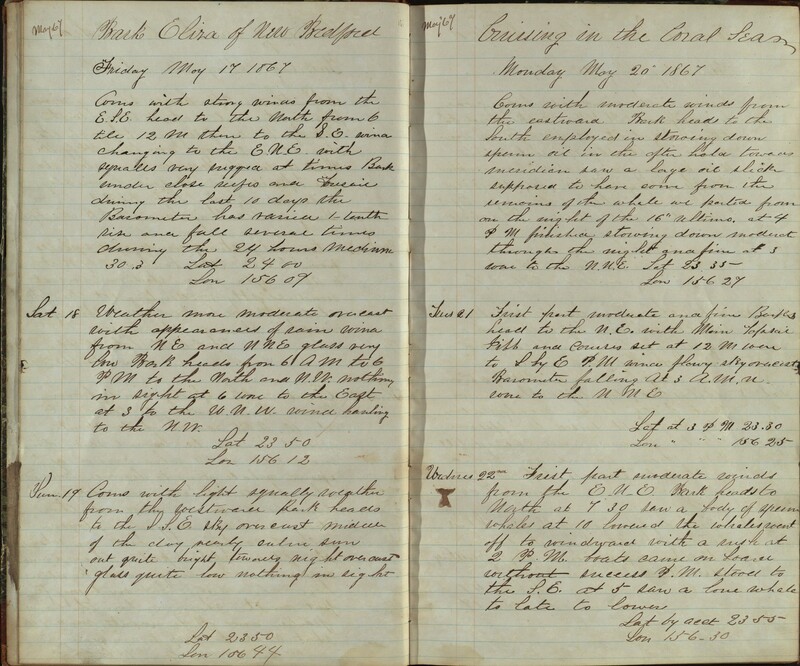 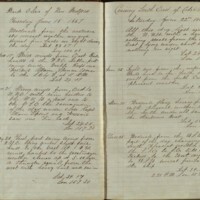 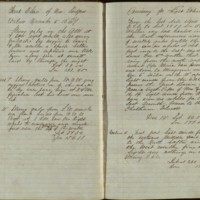 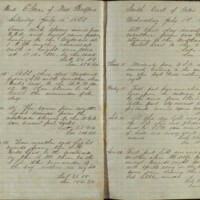 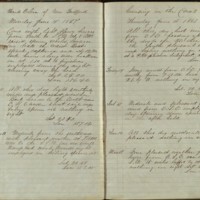 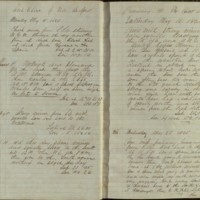 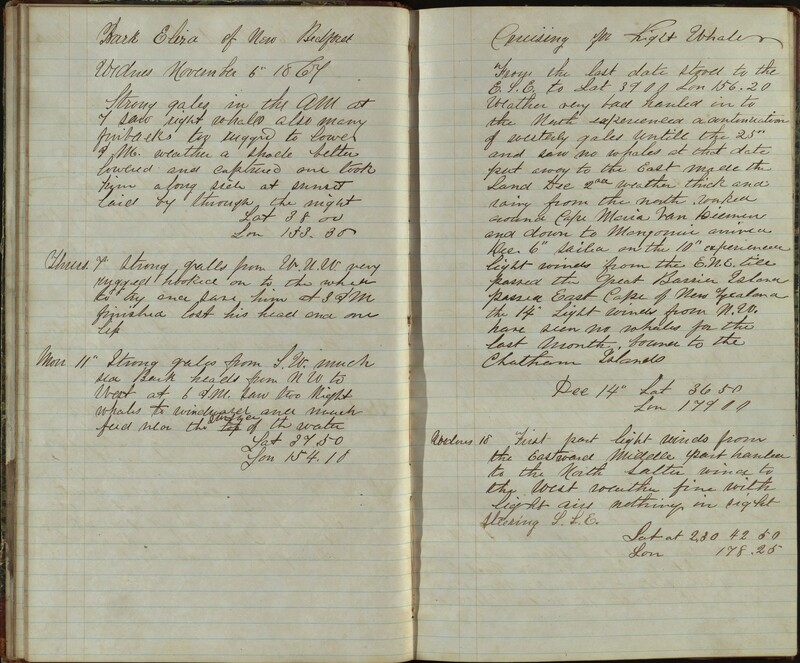 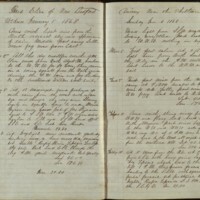 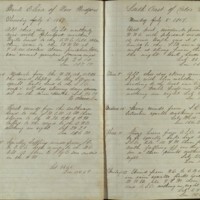 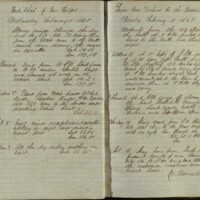 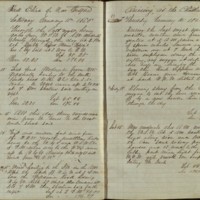 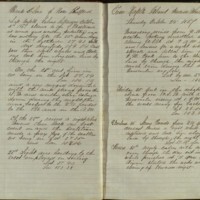 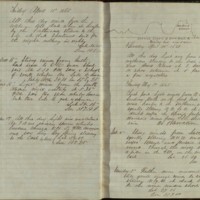 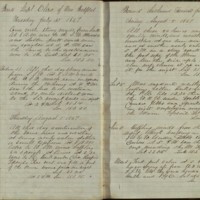 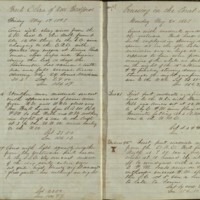 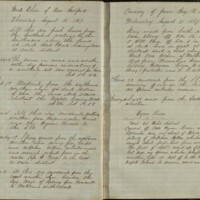 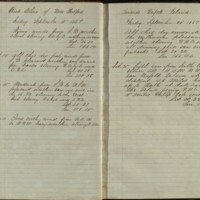 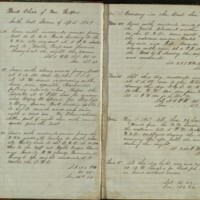 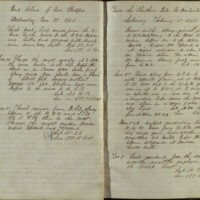 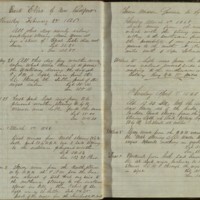 Eldridge, Cyrenius, “Log of the Eliza, 1867-1868,” accessed April 19, 2019, http://pplspc.org/digital/items/show/16.